Family Rules Wall Decal Only $5.45 + FREE Shipping! You are here: Home / Great Deals / Amazon Deals / Family Rules Wall Decal Only $5.45 + FREE Shipping! 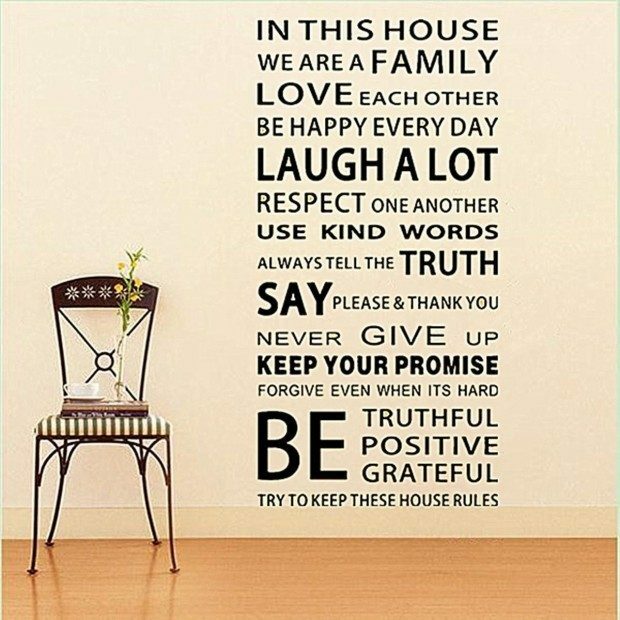 If you’ve been looking for family rules to display in your home, you’re going to want to grab this fantastic deal – get this Family Rules Wall Decal for just $5.45 + FREE shipping! I’ve been eyeing these on canvas for my living room, but they are EXPENSIVE! This is MUCH more affordable and is just as cute!